Summer time is definitely redundant here in the Philippines it being too hot all the time. That is why I never leave the house without putting on sunscreen. Since learning the bad effects of the sun on my skin and how it can suffer from all sorts of skin diseases, it has been my mission to help all ladies out there to find the perfect sunscreen for them. You only have to visit Watsons to know that there are so many choices now on different sun protection. So there is definitely no excuse for you to skip this very important regimen. So to know exactly what kind of sunscreen you need, you only have to look into your lifestyle. Are you active always out in the sun and engaged in sports that involve being outdoors? You need a tough sunscreen as tough and active as you. Go for the maximum sunscreen protection of at least 50. Reapply every 2 hours. Neutrogena Ultra Sheer Dry Touch Sunblock SPF 50 – offers breakthrough technologies which provide advanced sun protection from the sun. Are you always out under sun, commuting for work and in the field all the time? You need an active sunscreen that won't feel icky under the sweltering heat of the sun. Choose a sun spray that you can bring with you and spray on the fly when you need to step under the sun. Are you just a beach babe who wants to tan under the sun? Then you'll need a double duty sunscreen that can give you the bronzed skin you love without cooking your skin with the sun's harmful UV rays. 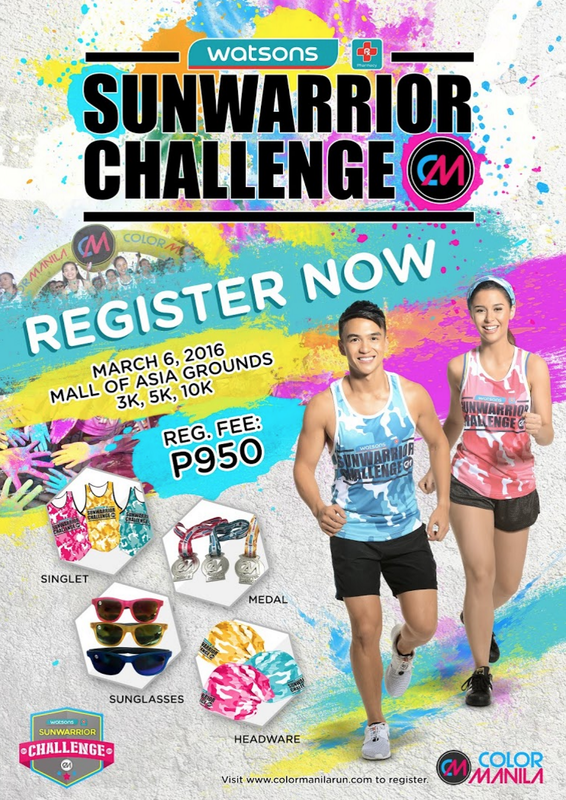 To celebrate the beginning of Summer, Watsons launched Watsons Sun Warrior to encourage everyone to use suncreen day in, day out. They invited young and active celebrities with the likes of Yassi Pressman, Dominique Roque, Bianca Gonzales-Intal and Saab Magalona, to raise awareness that beautiful skin is sun-protected skin. Watsons has come far from being a typical pharmacy they once were, they have become the one-stop-shop for every skin needs and I won't be surprised that it's the no, 1 choice for Filipinos for all their skin care needs. I never seem to not find what I need when I'm at Watsons. So great job indeed for accommodating all brands that are devoted in protecting our skin from the harsh sun!